The salty miso adds an extra dimension of flavor to roasted sweet potatoes. These make a tasty side dish or as an addition to popular meal prep bowls. 2 large sweet potatoes, washed, peeled and cut into 1 thick rounds. In a large bowl, whisk together 3 Tbsp miso paste, 2 Tbsp olive oil and 1 Tbsp water. Add the sweet potatoes and toss to distribute sauce over the potatoes. Transfer to a foil lined baking sheet. Season with salt and pepper. Bake for about 25 minutes or until tender when fork pierces the potato. 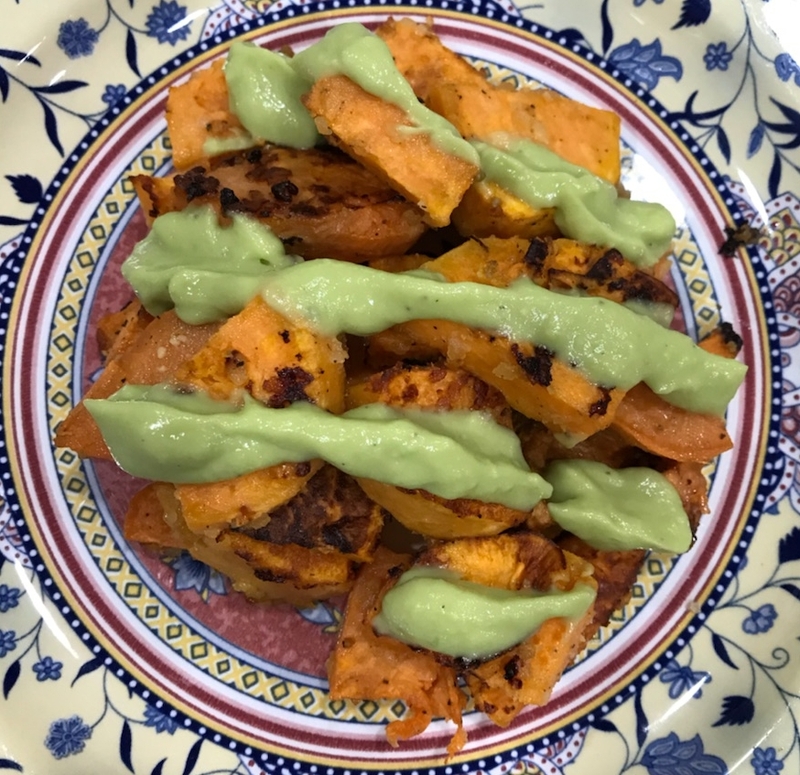 This entry was posted in Recipe and tagged meal prep, recipes for meal prep, roasted sweet potato by Maria Faires. Bookmark the permalink.